Travelers in search of antiques, collectibles, and bric-à-brac will love the Shops at Daniel Boone in Hillsborough, North Carolina. 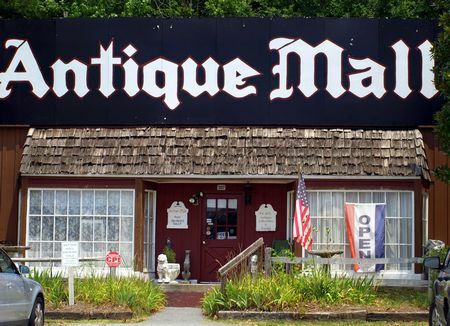 Located just off the Interstate, it's easy to find unique items and support many of the area's small businesses as there are many clustered along the Churton Street area leading to the center of town. Daniel Boone Village, Boone Square, Boone Plaza, the Colonial Business Center, and Hillsborough Commons offer antiques, toys and collectibles, clothing, needlework shops, art and framing, and other goods and services that include a working blacksmith and the Big Barn Convention Center that can hold up to 300 people. Restaurants and lodging are also in the area. The layout and design of the shops segue nicely into Hillsborough’s historic district, a short distance away. 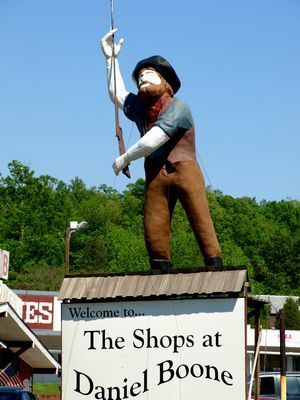 Most of the antique shops are situated in Daniel Boone Village, easily found with its landmark large statue and sign. Visitors can spend hours perusing the various stores, loaded with items, to discover that perfect treasure or unique gift. In an area of the state that is rich with history, do yourself a favor and include a trip to the shops on your list of things to do. You never know what you might find, and supporting small businesses in the community is always a plus. While there, be prepared for a good dose of southern hospitality as the proprietors are very friendly and ready to help. When nearby Raleigh played host for an episode of the PBS series The Antiques Roadshow in June 2009, they set a record for the highest number of ticket requests in the show’s history (a ticket is required for entry). They also set an Antiques Roadshow appraisal record for a collection of Chinese jade valued at possibly more than one-million dollars. This popular series brought antiquing to the masses, but travelers have long known the pleasure of discovery.